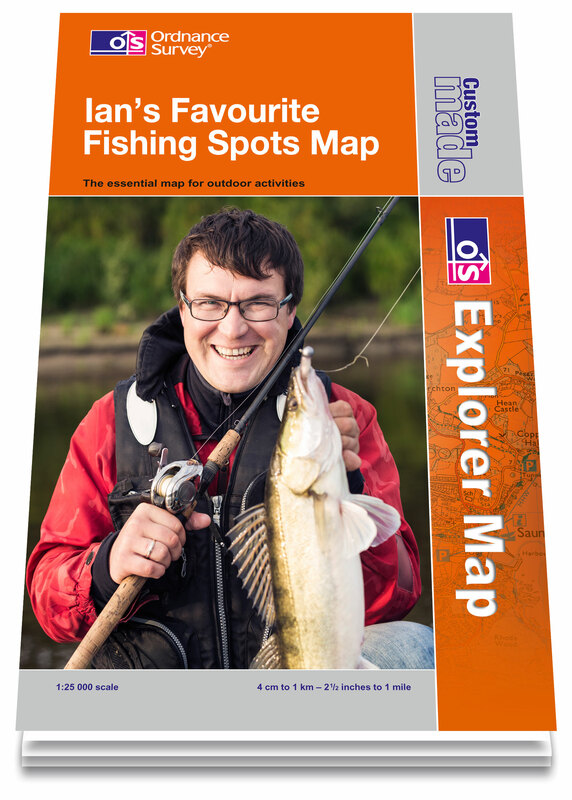 Record your favourite spots of 2013 or plan next year’s fishing trips with a unique Custom Made map from Ordnance Survey. Pick your location anywhere in Great Britain, then add your own cover photo and title to create a map that is not only a practical guide, but also makes a great Christmas gift. If you prefer you can get a flat map without a cover that is suitable for wall mounting. Custom Made maps are available in a choice of 1:25 000 scale (OS Explorer) or 1:50 000 scale (OS Landranger) and show all the level of detail you would expect from Britainís mapping authority. They are professionally printed on high quality map paper and posted directly to you. Custom Made maps are available exclusively from the Ordnance Survey Shop for £16.99. Order by 2pm on December 20th to get delivery in time for Christmas. Use the Discount Code ‘FISHING10’ at the checkout to save 10% off a Custom Made map – only £15.29 with free UK delivery. Offer expires 20th December! No one knows Great Britain better.